Secondary Unit Text: transf. to (428451) 514th Agricultural Coy. Additional information: Husband of Elizabeth Isabella Maver Blacklaws, of Rose Cottage, Rossie Braes, Montrose. Unit Text: H.M. Drifter "Duthies." 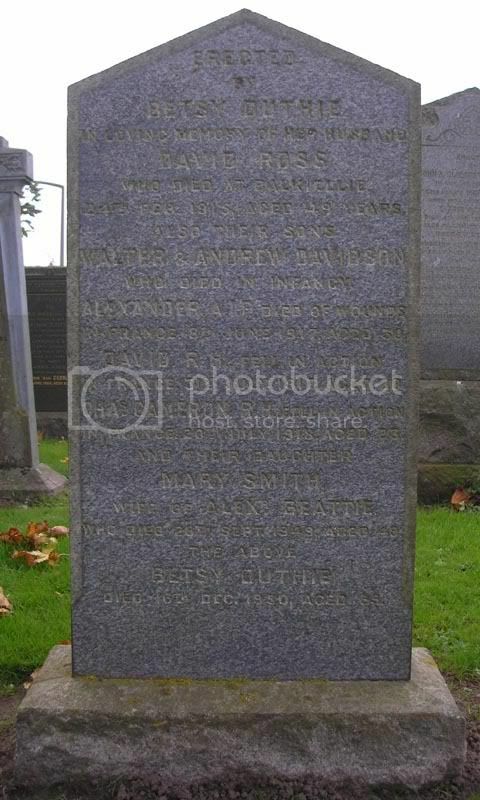 Additional information: Son of Mrs. Annie Paton, of 25, Southesk Place, Ferryden, Montrose. Unit Text: 178th Tunnelling Coy. Additional information: Father of William A. Coull, of 5, Drive Rd., Linthouse, Glasgow. Native of Ferryden, Montrose. Commissioned on the Field. Unit Text: 124th Field Coy. 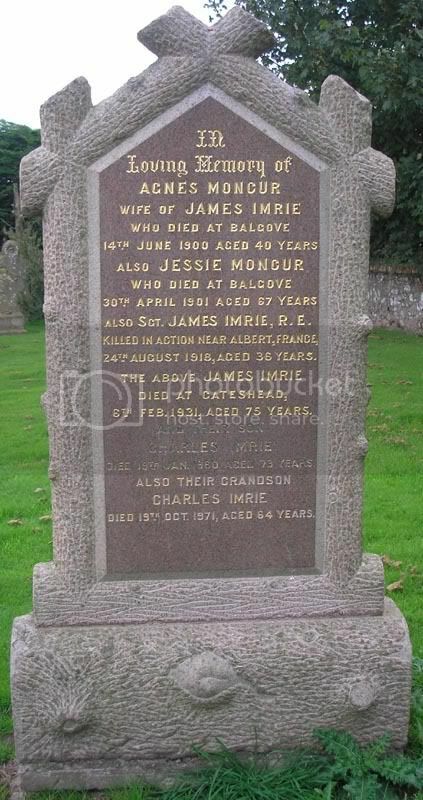 Additional information: Son of James and Agnes Moncur Imrie, of Estate Office, Methven Castle, Methven, Perth. *Added: ALEXANDER PATON can be found on the SNWM database. See post at the end of this thread for details. 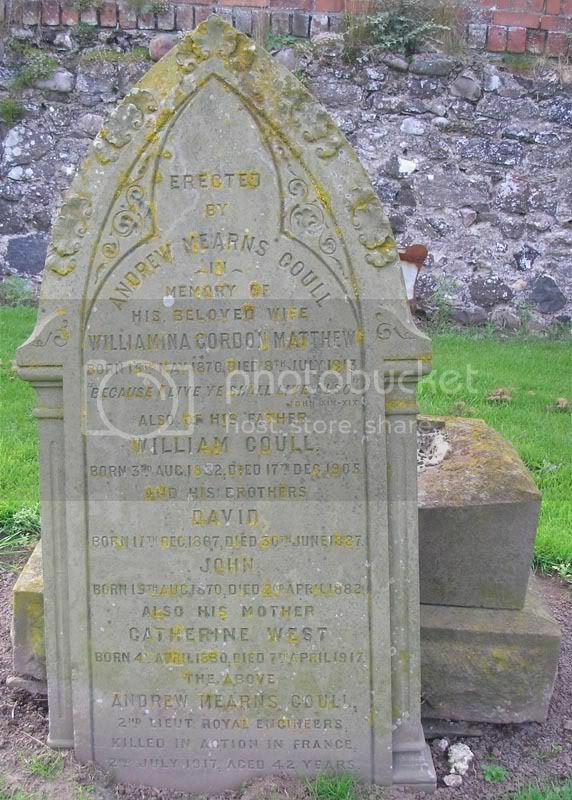 Additional information: Son of George and Annabella Paton; husband of Joan Paton, of Ferryden, Angus. Grave/Memorial Reference: Panel 60, Column 2. Peculiarly Donald is called Daniel in the CWGC database! 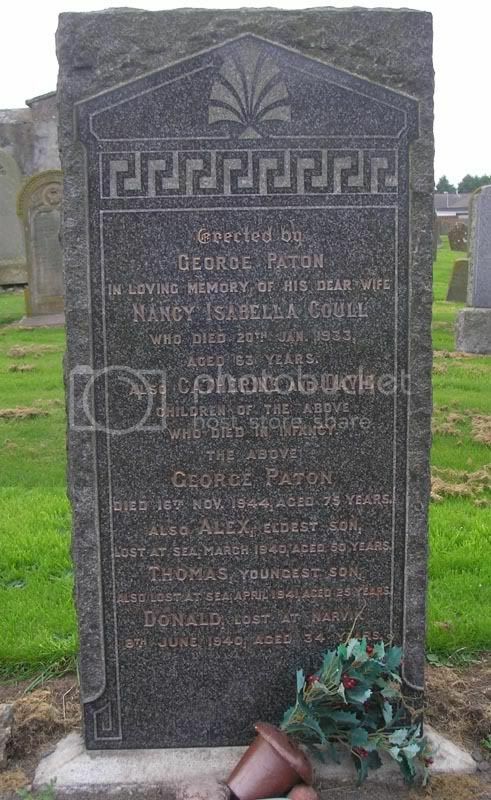 Additional information: Son of George and Nancy Isabella Paton; husband of Elizabeth Paton, of Montrose, Angus. All three brothers from one family perished in just over a year in the Great War. Additional information: Son of David and Bessie D. Ross; husband of Isabella Ross, of Rossie Braes, Warragul, Victoria, Australia. Native of Montrose, Scotland. Grave/Memorial Reference: II. A. 12. Unit Text: "C" Coy. 4th/5th Bn. 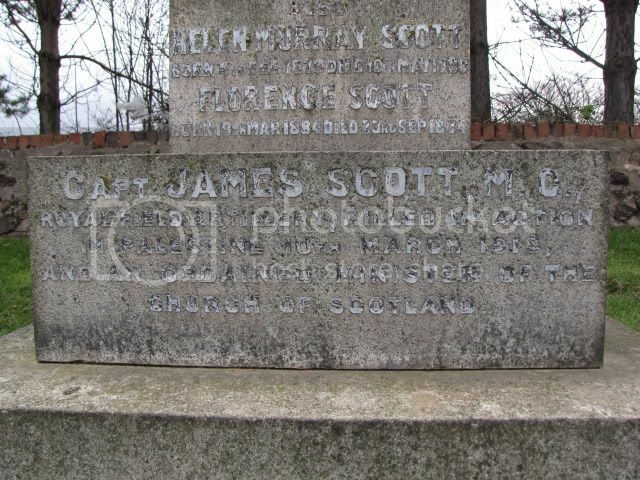 Additional information: Son of David and Betsy Ross, of 49, King St., Montrose, Forfarshire. Additional information: Son of Betsy Ross, of 49, King St., Montrose, Forfarshire, and the late David Ross. 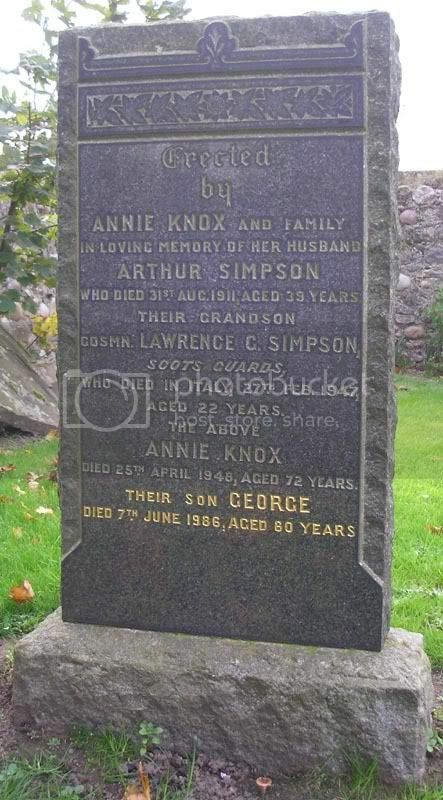 Additional information: Grandson of Annie Simpson, of Rossie Island, Angus. Grave/Memorial Reference: VIII, E, 10. 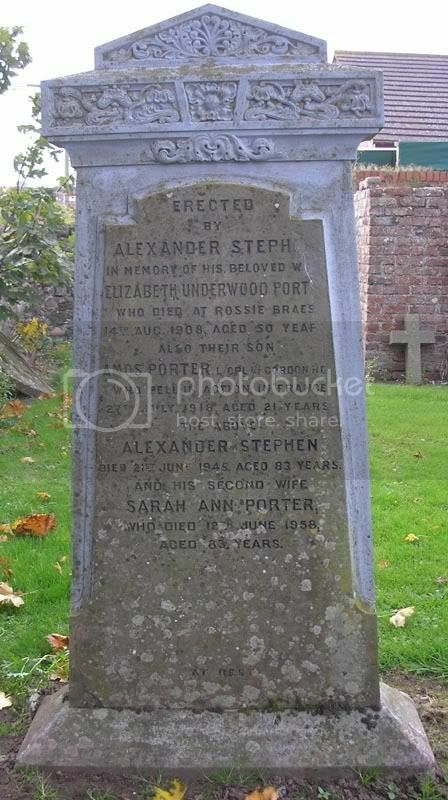 Additional information: Son of Alexander Stephen, of I, Rosehill Cottages, Montrose, Forfarshire. Grave/Memorial Reference: V. A. 10. 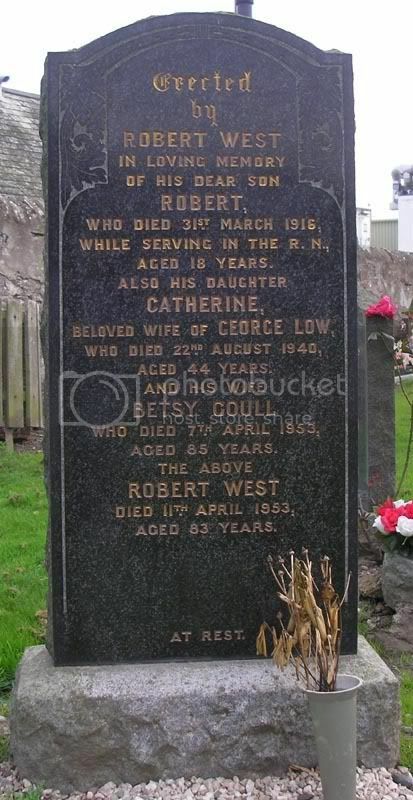 Additional information: Son of Robert and Elizabeth West, of 6, Beacon Terrace, Ferryden, Montrose, Angus. Grave/Memorial Reference: 8 "C." 139. Unit Text: "B" Bty. 302nd Bde. Additional information: Son of the Rev. Robert Scott, D.D., and Mary Jobson Scott, of Craig, Montrose. Consular Chaplain at Alexandria, 1909-1911.